Parking is FREE. No outside food or drink allowed. Saturday & Sunday hours are 11am - 4pm. 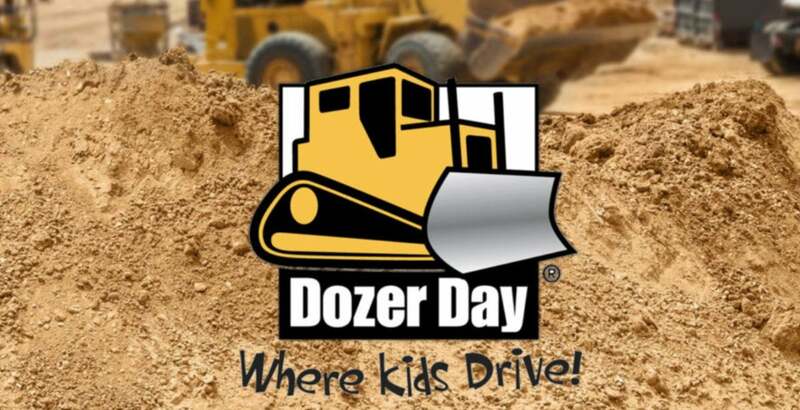 Dozer Day has activities for kids of all ages. When it comes to the construction equipment the younger kids get more help from the operators then the older ones. In addition to the heavy equipment, there is also an ambulance and firetruck to climb in and around, PUD activities, and lots of sand and construction toys to play with as well. For the bigger kids... If you and the operator fit in the cab together you are good to go! Climb on in, grab the controls and have fun. If you are in the biggest kid category (Yes this includes adults) there are activities geared just for you as well. Have you ever wanted to drive a backhoe? excavator? roller? now's your chance. Hop in and drive by yourself! In addition to that there is also a scavenger hunt, diamond dig, and shooting for prizes game that caters to big kids as well.